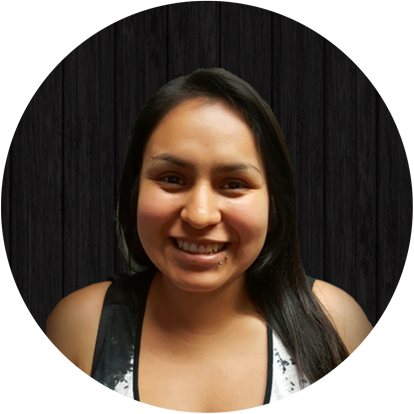 Carrie has dedicated her life to supporting children and youth in her community which has made her a natural fit for her role as Aboriginal Child & Youth worker within our connections Program. Carrie works directly with school age children, and youth who are, or have been in foster care, as well as operating a daily youth drop-in program, open to all community youth ages 13-18. Carrie strives to improve outcomes for the children, and youth she works with, helping them to achieve their optimal developmental potential. The Connections Project is a direct-service approach to reducing the number of Urban Aboriginal children and youth in-care; and to improving outcomes for those living at-risk, and/or receiving services under the CFCSA in Houston and surrounding areas. The Connections Project creates culturally relevant networks of supportive community connections centered around clients’ needs, removing risks to child safety, and improving permanency. The Connections Project also hosts a drop-in program for youth ages 13-18. This daily program offers a safe supervised space for youth to access support and connect needs around culture, kinship, life skills, education, employment, food security, and mental health to appropriate resources and services.